New in the Online Content Catalog: In partnership with Pixabay we've added fully integrated access to a free library of over 750,000 quality royalty-free stock photos and over 150,000 vector illustrations. All available under the CC0 license. The Designs Gallery (now 'Local Designs Gallery') will now be used to display only your current assets (those downloaded from the Online Content Catalog or from the optional back-up CD) making it quicker to access the resources you are already using. These are a cool new way to display your photos. 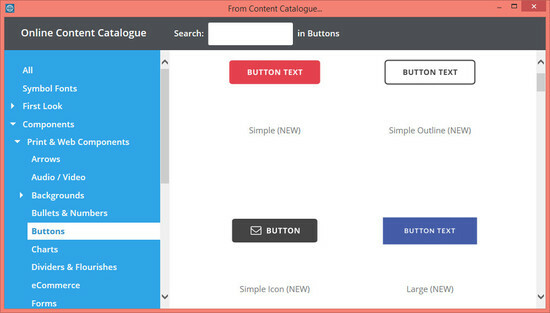 You'll find the new Online Content Catalog category under Components > Image Resources. Check out Insert > Symbol. 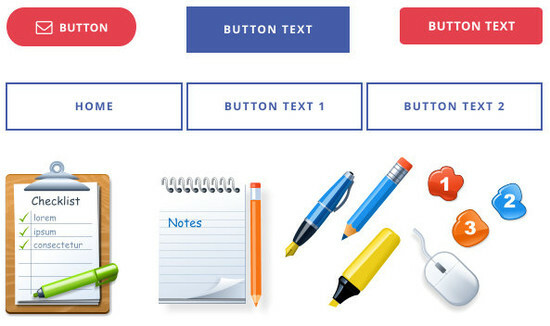 These are not just useful symbols and icons that you can add to your text, but fully editable vector shapes! 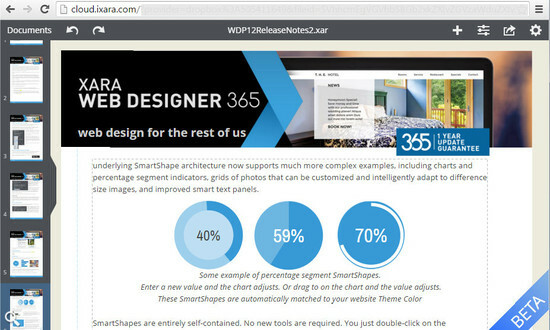 Web Designer benefits from seamless integration with Xara Cloud, which makes it a great additional service. You can find out more & register here. Xara Cloud is being constantly enhanced - you can find news of the very latest updates here. We know that many of you find it frustrating that you have to wait a whole year for our next update - knowing that we are working on (and likely finished) new cutting edge features and on-trend content. We have the answer! For the first time you’ll have access to new features and content as we develop them, at any time during the 365 days after you purchase. You’ll be able to download and use these new features, for no extra charge, in addition to the version that you buy today. Note: these updates continue to work after 365 days in any installations at the date of expiry, but if you reinstall the software after the Update Service expires (and you don't renew) then these updates will not be included (the software will revert to the version at your date of purchase or registration). 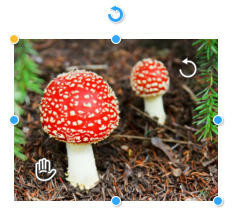 Select a photo in the Photo tool and you’ll see some new handles on the photo, for scale, rotate and crop. It’s a lot easier and more intuitive than using the Fill tool for these simple but frequent actions, and it’s smarter too – ensuring you never see any gaps around the edge of the photo when you move it in its frame or change the shape of the frame. Top Tip – it’s great for horizon straightening! UPDATED - April 2017: Now as you drag the handles to adjust an image, a faint copy of the full uncropped image is shown behind.